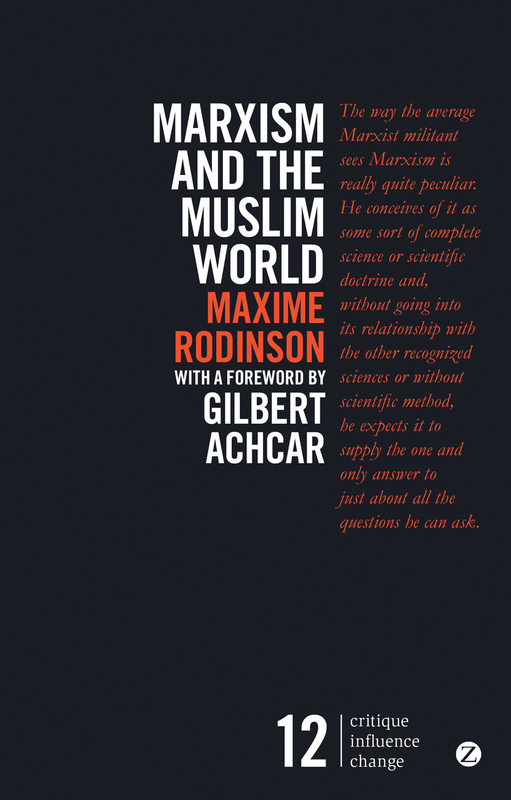 In the aftermath of the Arab Spring, Maxime Rodinson’s Marxist analyses of contemporary politics and economics in the Muslim world are more salient than ever. In this collection, Rodinson emphasizes the economic and political, rather than religious, characteristics of Islam, covering topics like the history of the Marxist movement in the Islamic Middle East; the dialogue between socialism and Islam, and Marxism and Arab nationalism; the relationship between national conflicts and class struggle, and the history of communism in Arab states such as Syria and Egypt. Unashamedly political and polemical, Rodinson offers an insightful picture of political Islam and Marxism, and their profound implications for the Arab working class—and the future of the region.